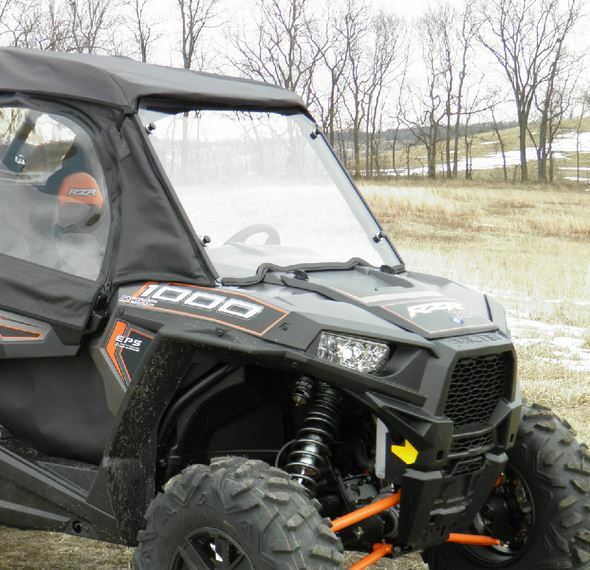 If you are interested in installing an enclosure on your Polaris RZR, this windshield would be our recommendation. It doesn't seal up 100% but it's the best we've found. Comes with quick disconnect clamps for easy removal and re-installation after the first install. 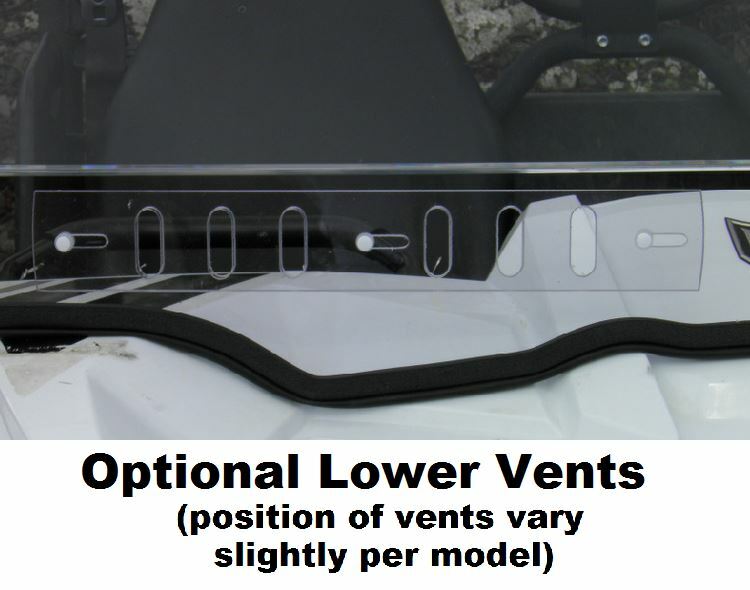 GCL UTV only uses 1/4" Lexan for all our hard windshields. Much stronger and more stable than the 3/16" versions that bow at high speeds. We also use quick connect clamps for all our windshields. The quick connect clamps make installation a breeze. After the clamps are on the rollbar, you never have to remove them to remove the windshield. Just loosen the knob bolts and the windshield comes off. Easy on....solid fit.....easy off. Sometimes it's the small things that make a difference. As stated - It is thick and stable and we paid extra for the vents - quick connect clamps are a nice feature, HOWEVER, none of that means crap when the first time we rinsed the windshield off with a hose... it scratched!!! And I mean scratched so much that it is nearly impossible to see through and we had to order another windshield... AND NOT THIS ONE again!!!! Super easy to install. Works perfect. Allows air to flow thru to inside. Clamps do not fit as tight as could be. Need to use duct tape under clamps or windshield will slide down. Simple to install and windshield in good condition. 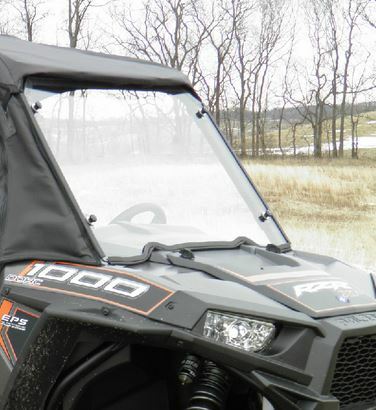 Would recommend this windshield to all Polaris owners. very nice product, very simple to install.